Here we are still in the theater room; but we are on the stage shooting back towards the wall. 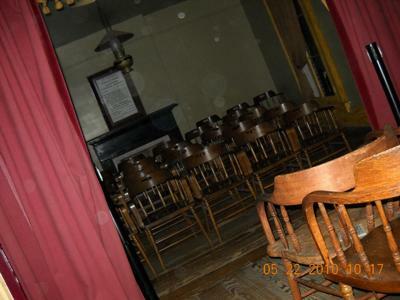 If you have seen the last picture #0440 you'll notice the entire room is filled with Orbs. We stayed in the House on the private tour for 2 hours, which lets you really settle into the mood of the House.